The Third Edition of this trusted learning resource is your guide to understanding the biological, psychological, and sociocultural aspects of mental illness -- as well as the nurse's role in assessment and care of the psychiatric client. Using the bio-psycho-social model, grounded in nursing theory and research, you'll examine the underpinnings of mental illness as well as today's most advanced clinical interventions. You'll quickly gain competence, develop communication skills, sharpen your diagnostic abilities, identify outcomes, and evaluate basic interventions. 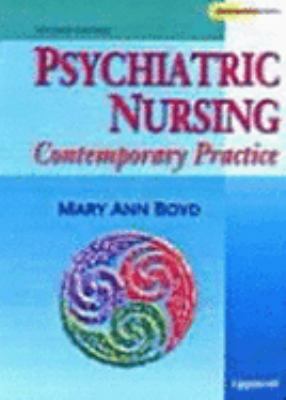 Book jacket.Boyd, Mary Ann is the author of 'Psychiatric Nursing:contemp.prac.-text' with ISBN 9780781728461 and ISBN 0781728460.